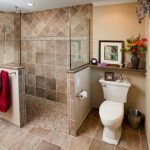 Usually people close all the shower area so that it will be more private or simply because they want to keep the other area as dry as possible. 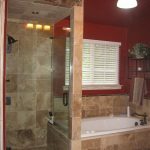 However, sometimes, if you take a long shower, it can feel hot and rather suffocating in the shower room, especially if you use hot water. If you feel that way, you can leave the door open, or even simpler, just forget the door and leave the shower area is without door. 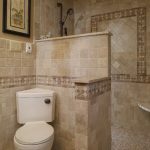 If you have quite small shower area, you might feel suffocated when you take a long shower. If that’s the case, you can try this one idea here. The room is opened without door. 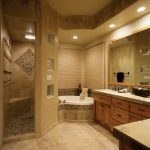 And the tub area and the shower area is parted with glass door that you can open too. 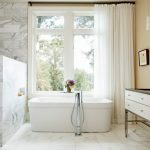 Here is another way to make all the air circulate in your shower room. You can have it without door and have half way partition wall. And you can make it pretty too by having the shower room all covered in tiles. 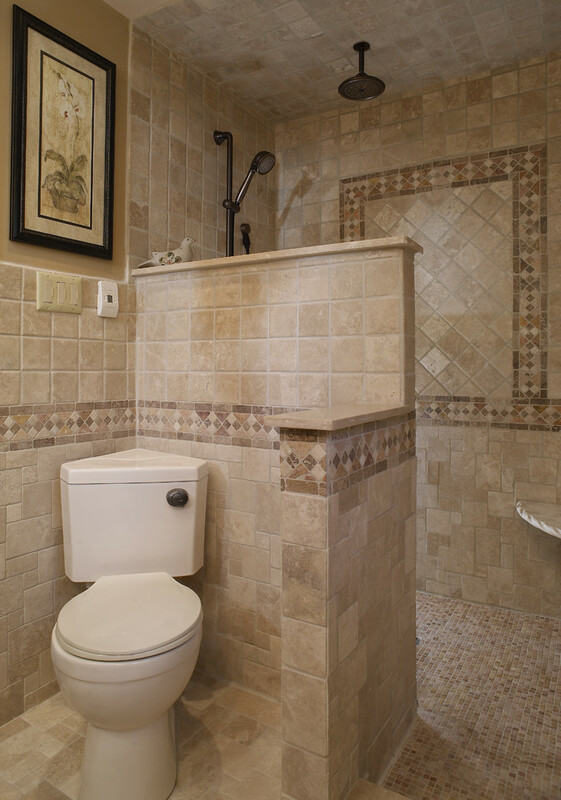 In this picture, the tiles go well with the toilet area. 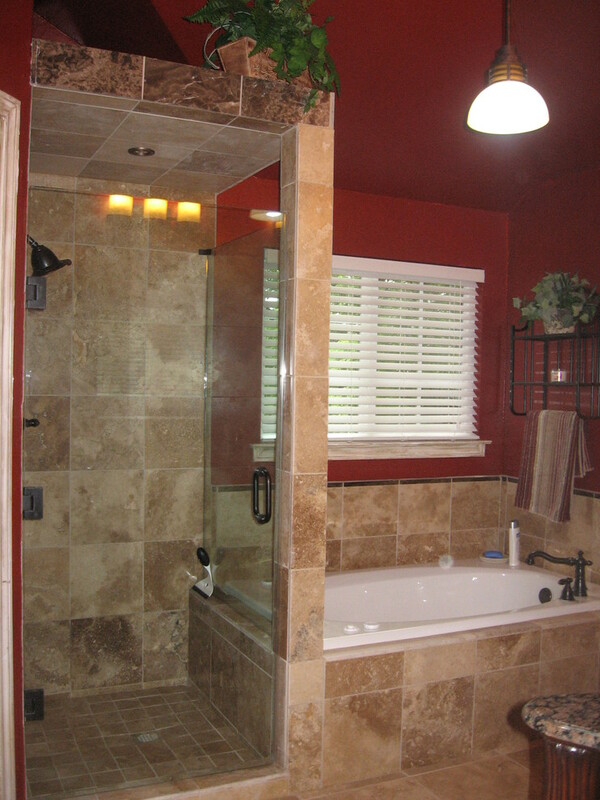 In this picture, the shower area, although without door, has its own room. 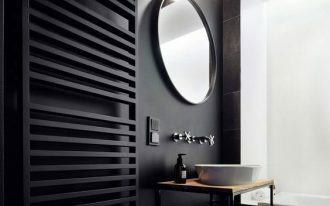 The wall that parted the shower area with the rest of the bathroom built up to ceiling with some blurred glass window. 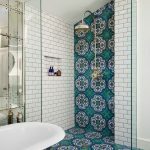 The tiles cover the entire shower area surface up to the ceiling. 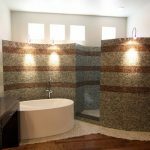 If you want to part your shower room but you also want the roomy feeling, this idea can be implemented. With glass partition in half up, you can have the rigid partition and feel the space is large enough. This too is a beautiful arrangement where the shower room only have half wall partition to the other side but no partition to the bath tub. This makes better circulation to the room. 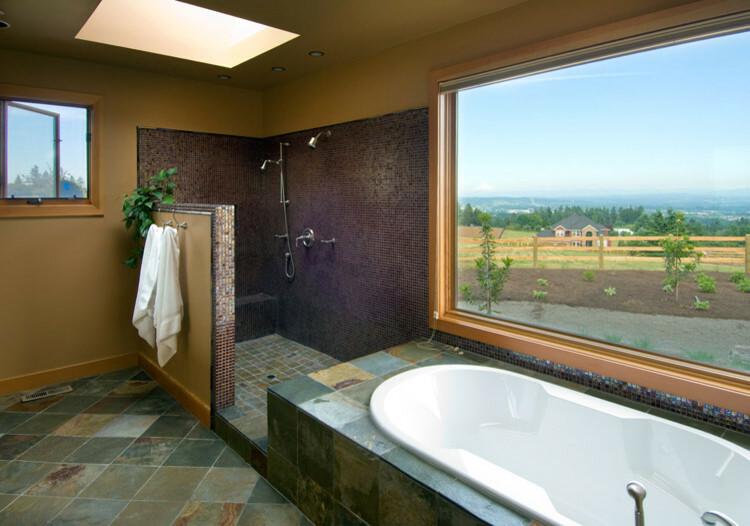 Furthermore, the window that opens to the outside is quite big and there is glass window beside the tub. The owner must like outer space. 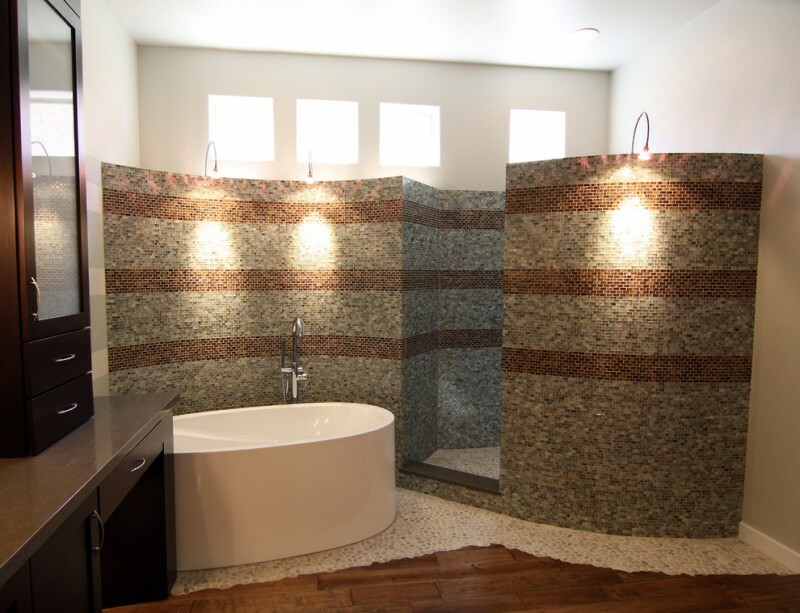 In this picture, the shower area is inside the round room without door that has mosaic tiles wall all over it. The shape of the area is made really beautiful and it continues to the wall behind the bathtub area. 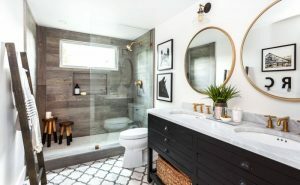 The flooring is also unique and pretty with its white pebble floor on the wet area but wood floor in the dry area. 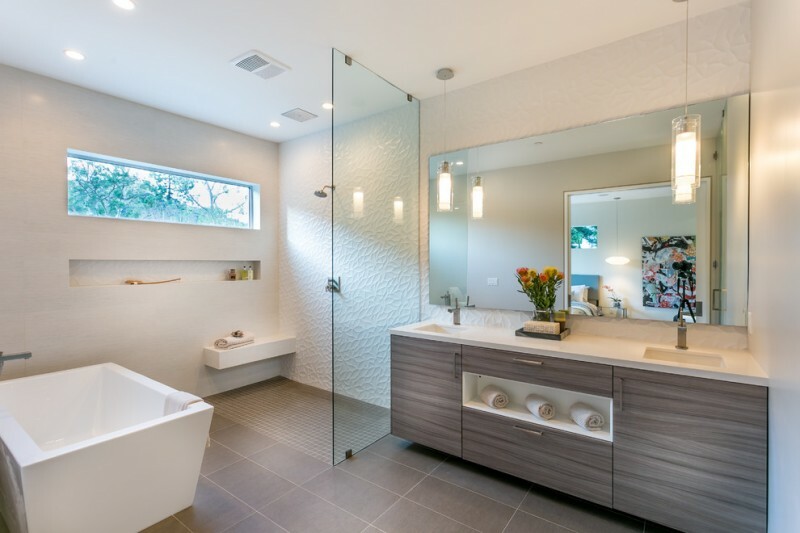 The bathroom in this picture is made simple. The wall is white and the shower area’s wall is grey tiles. 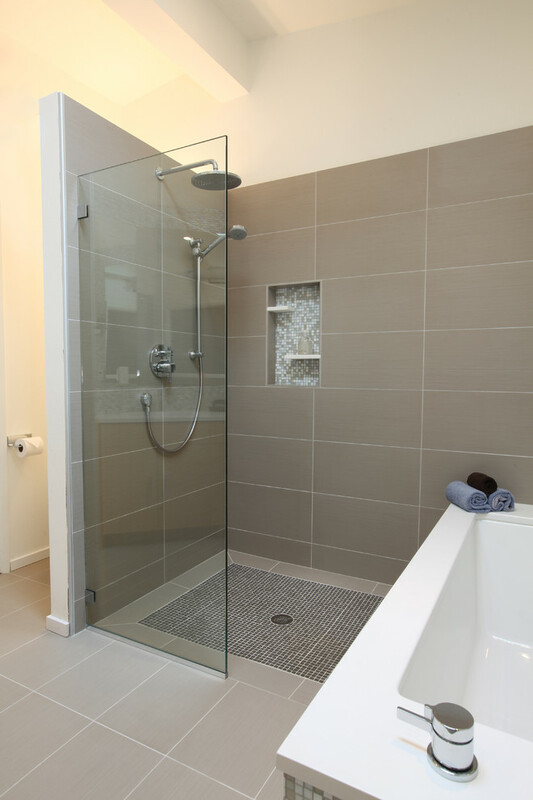 The flooring is also in grey with different shades between the shower area and the rest other. 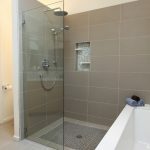 The glass partition only covers half of the shower area. It is all simple. 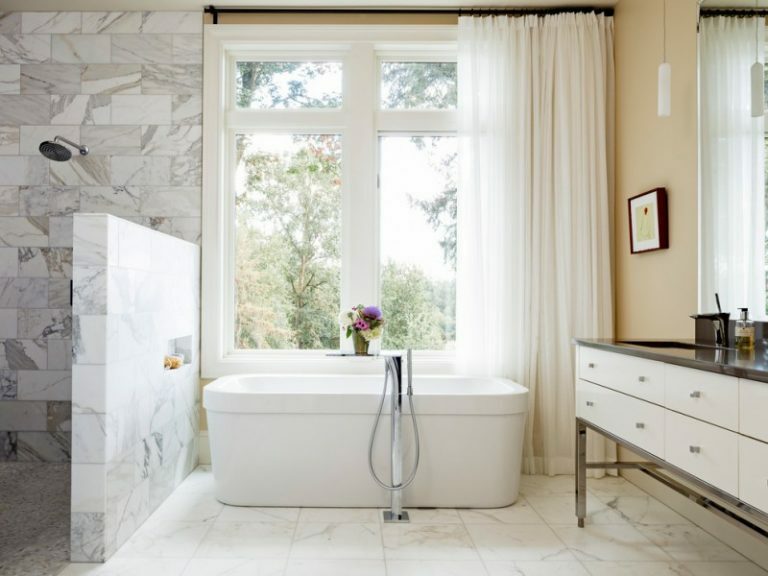 In this white bathroom, the shower area is covered with white marble tile up to the ceiling and has half wall partition to the bathtub area. 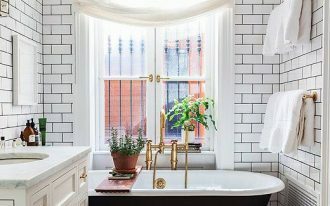 The window beside the bathtub is big. The room looks fresh and bright. 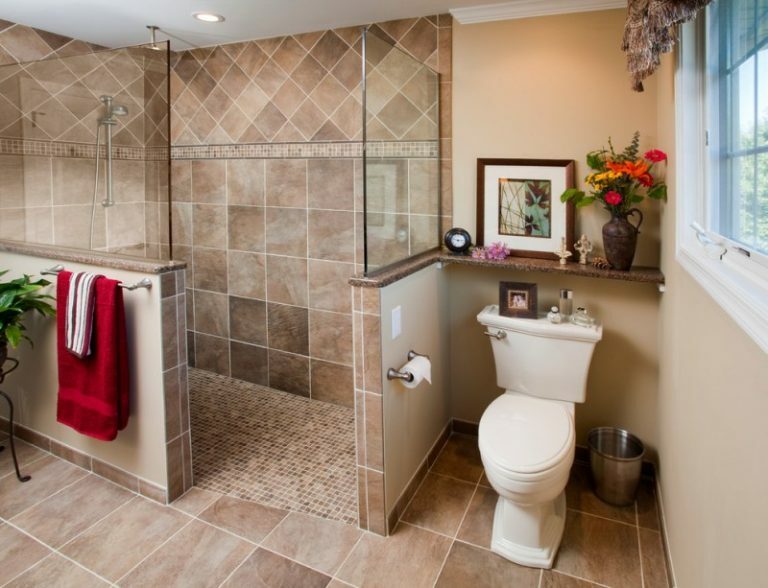 Here is to the beautiful bathroom. 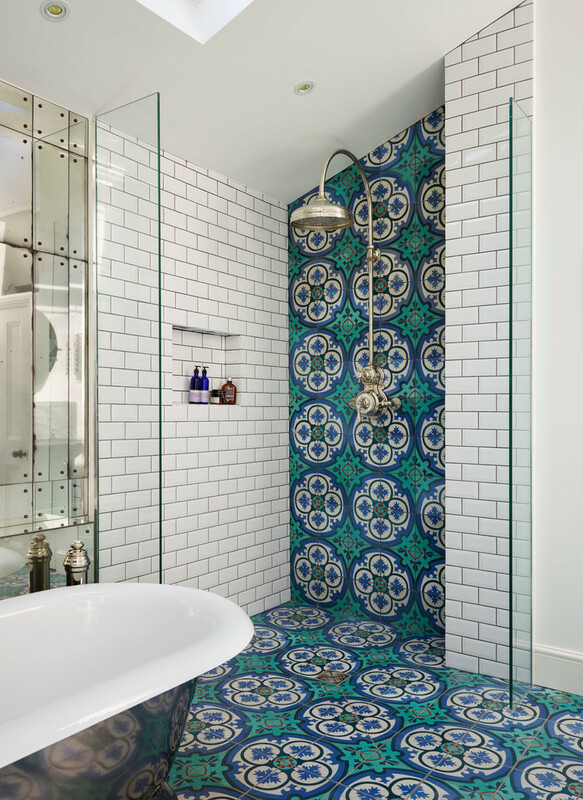 The combination of blue Victorian patterned tiles and the white simple tiles are beautifully contrasted. The shower handle is a match for the theme. The partition itself is not even half. It is just a small portion glass to be the partition. Although this one is quite large, the owner seems to want the best air as it could be. And of course the best light there is. 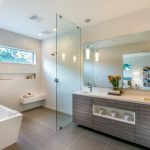 The glass partition ensures the light from the glass window in the shower area to go through.